The Academy's current Music Director is Richard Egarr. The original Academy of Vocal Music was founded in London, England in 1726 for the purpose of studying and performing "old" music — defined initially as anything composed at least a century earlier. Around 1730/1 it was renamed the Academy of Ancient Music, and continued to grow in membership, including the composers William Croft, Michael Christian Festing, Maurice Greene, Bernard Gates, Giovanni Bononcini, Senesino, Nicola Haym, Francesco Geminiani, Pier Francesco Tosi, John Ernest Galliard, Charles Dieupart, Jean-Baptiste Loeillet and Giuseppe Riva. George Frideric Handel was never a member, although the society studied and performed his music as well as their own, and that of other composers of the day. 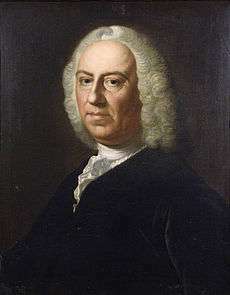 Directors of the organization included Johann Christoph Pepusch (from 1735 onwards), Benjamin Cooke and Samuel Arnold (from 1789 onwards). In 1973, the Academy of Ancient Music was revived by the British conductor and harpsichordist, Christopher Hogwood, for the purpose of playing 18th- and early 19th-century music on period instruments. For choral works, it is joined either by the Academy of Ancient Music Chorus or by a cathedral or collegiate choir with boys' voices. In 1996 the Academy of Ancient Music appointed Paul Goodwin as Associate Conductor and Andrew Manze as Associate Director under Christopher Hogwood. In 2003 Andrew Manze resigned as Associate director to be replaced in 2005 by Richard Egarr. On September 1, 2006, Richard Egarr succeeded Hogwood as Music Director of the Academy and Hogwood received the title of Emeritus Director. The Academy of Ancient Music was the first orchestra to record all of Mozart's symphonies on period instruments. The Academy has since recorded the complete piano concertos and symphonies of Beethoven, and has recorded numerous Haydn symphonies and many of the Mozart piano concertos with fortepianist Robert Levin. The Academy has also recorded Purcell's Dido and Aeneas, Handel's Orlando and Rinaldo, Mozart's La clemenza di Tito, Haydn's L'anima del filosofo and over 200 other recordings for a range of different labels. The commissioning of new works under Paul Goodwin represented a new development for the orchestra. The first commission and recording, John Tavener's Eternity's Sunrise, met with enthusiastic critical acclaim and led to a second new Tavener work and recording, Total Eclipse. David Bedford's Like a Strand of Scarlet followed in 2001 and, in 2003, the AAM premiered John Woolrich's Arcangelo, written to mark the 350th anniversary of the birth of Arcangelo Corelli. The next commission in 2006 celebrated the 250th anniversary of Mozart's birth with a work from the Scottish-American composer Thea Musgrave, Journey into Light, which was written as a companion piece to Mozart's Exsultate, jubilate. Recently, this trend has been revived with commissioning the harpsichordist, conductor, and scholar Mahan Esfahani to write a new orchestration of Bach's The Art of Fugue, which was premiered at the BBC Proms in July 2012. Both Tavener recordings are on Harmonia Mundi (France), for whom The AAM has made a large number of CDs: Mozart's Zaïde and Christmas music by Schütz and his contemporaries (conducted by Paul Goodwin); violin concertos by J.S. Bach and Vivaldi; and concerti grossi by Handel and Geminiani (directed by Andrew Manze); and Bach's harpsichord concertos (played by Richard Egarr). Choral recordings include works by Bach, Handel, Purcell and Vivaldi, with King's College Choir under Stephen Cleobury, and several recordings with Edward Higginbottom and New College Choir, including Pergolesi's Marian Vespers and Handel's coronation anthems, a collection of music from 17th and 18th-century English coronations. With Richard Egarr, the orchestra has released Handel’s instrumental music Opp. 1–7, as well as Bach's four orchestral suites and his St John Passion. In 2013, the Academy launched an in-house label for its future recordings. The orchestra regularly plays at prestigious venues and festivals in the United Kingdom and around the world, including London's Wigmore Hall, Barbican Arts Centre, the BBC Proms, and the Amsterdam Concertgebouw. The AAM is Orchestra-in-Residence at the University of Cambridge. ↑ "Bach, J S: Orchestral Suites Nos. 1-4, BWV1066-1069". www.prestoclassical.co.uk. Presto Classical. ↑ "Bach, J S: St John Passion, BWV245". www.prestoclassical.co.uk. Presto Classical. ↑ Smith, Charlotte (10 July 2013). "Academy of Ancient Music launches own record label". Gramophone.